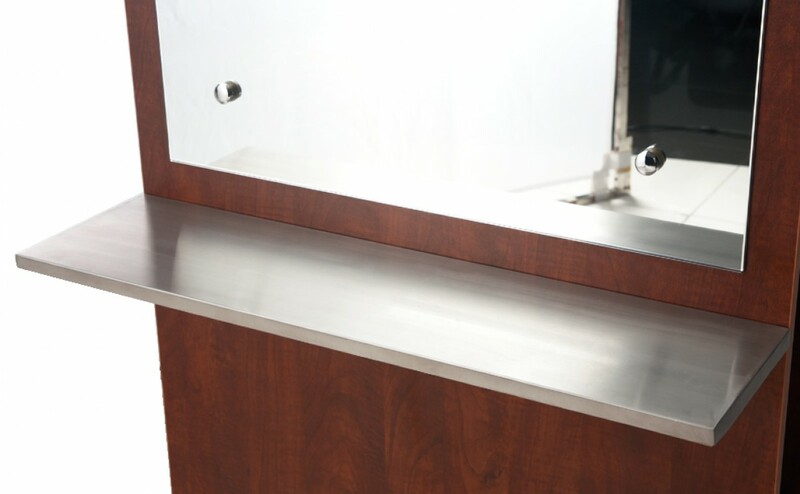 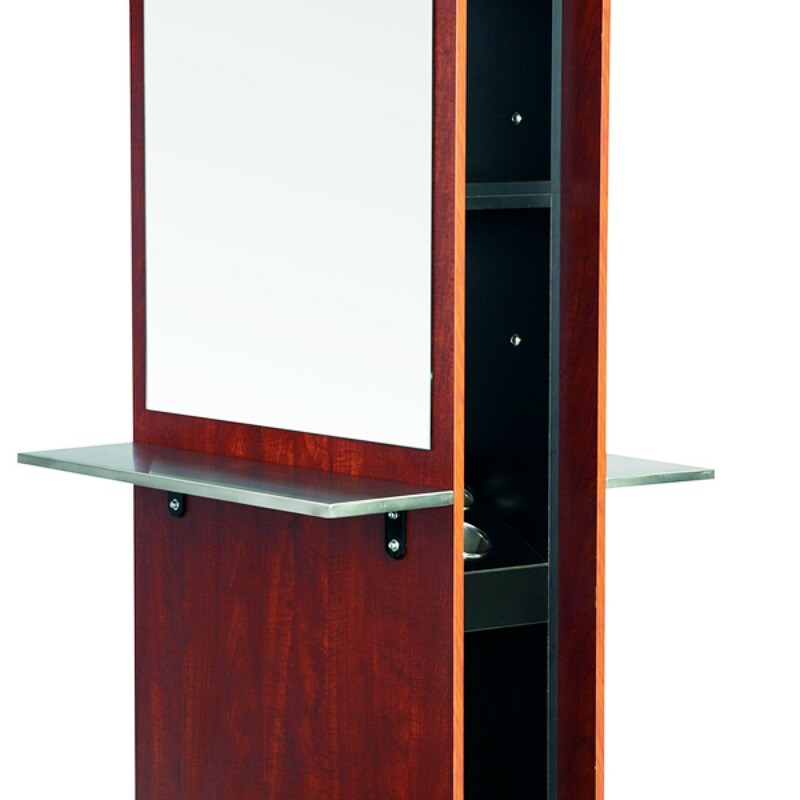 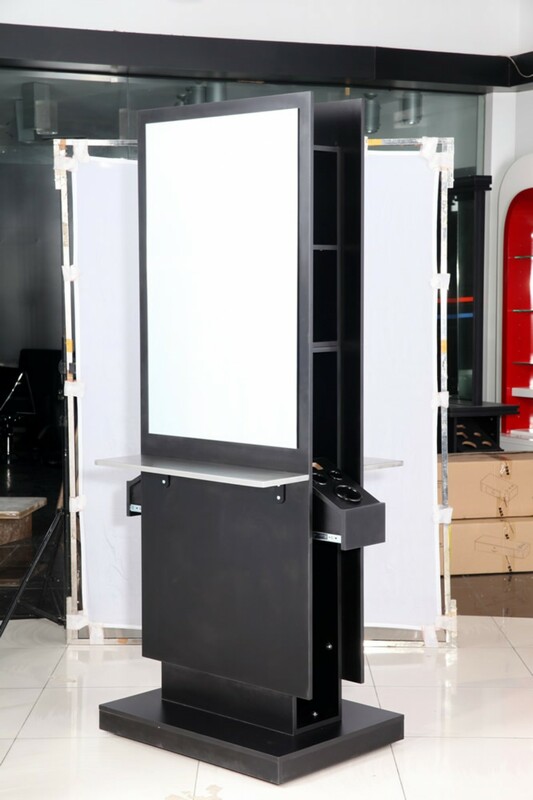 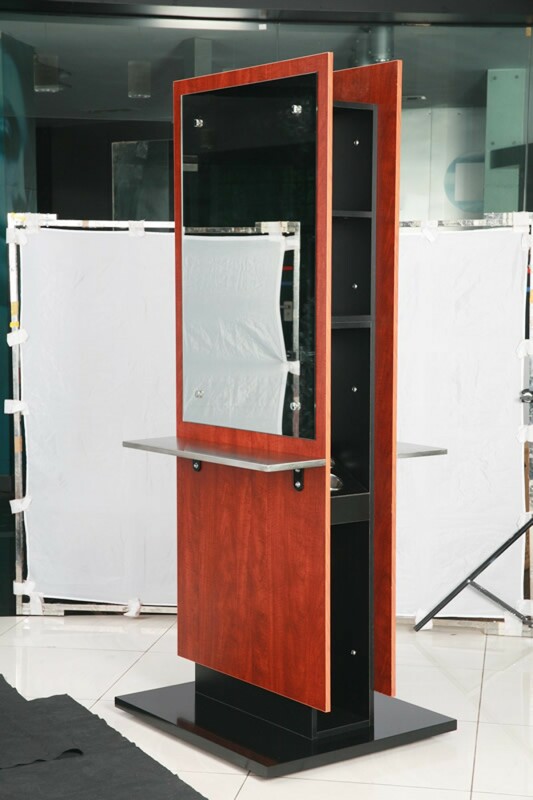 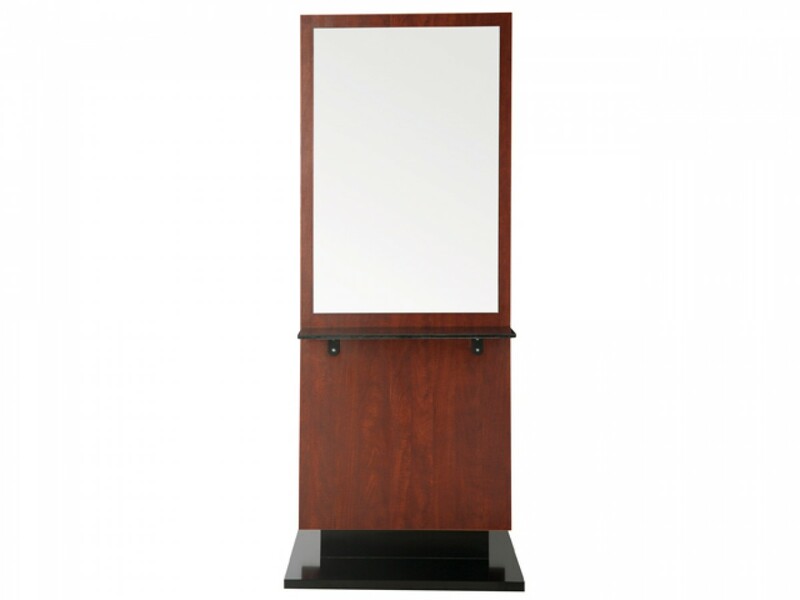 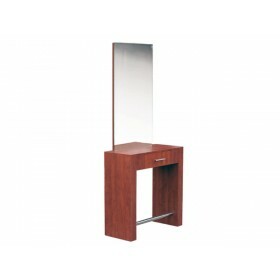 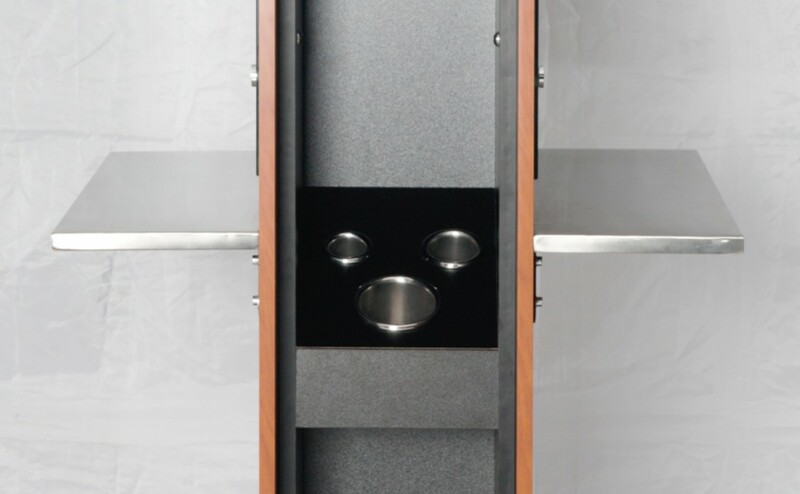 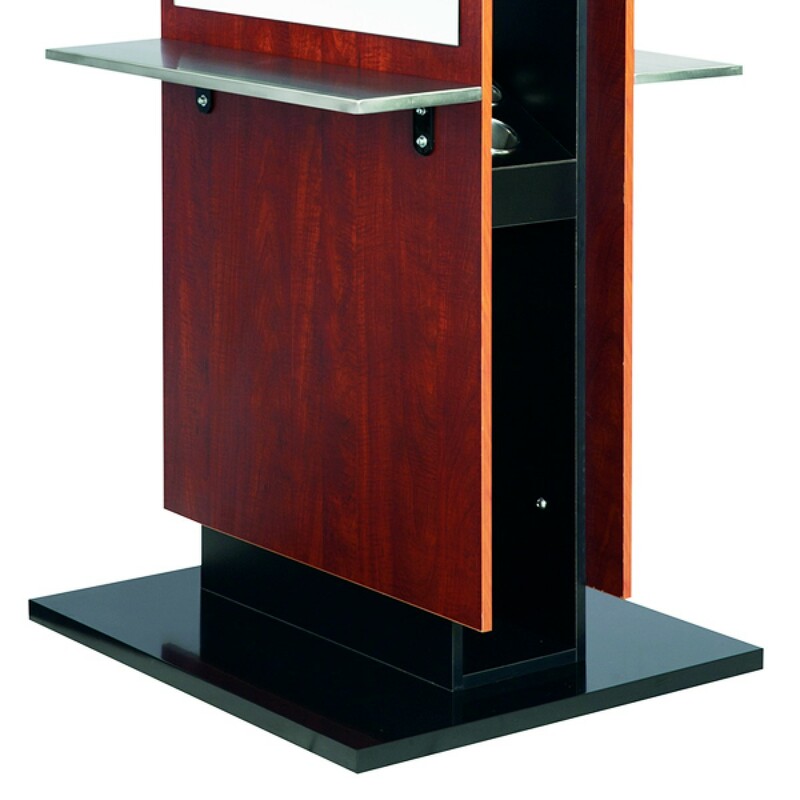 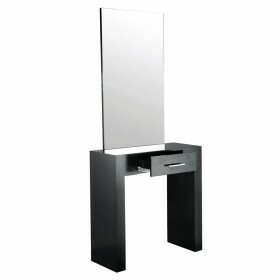 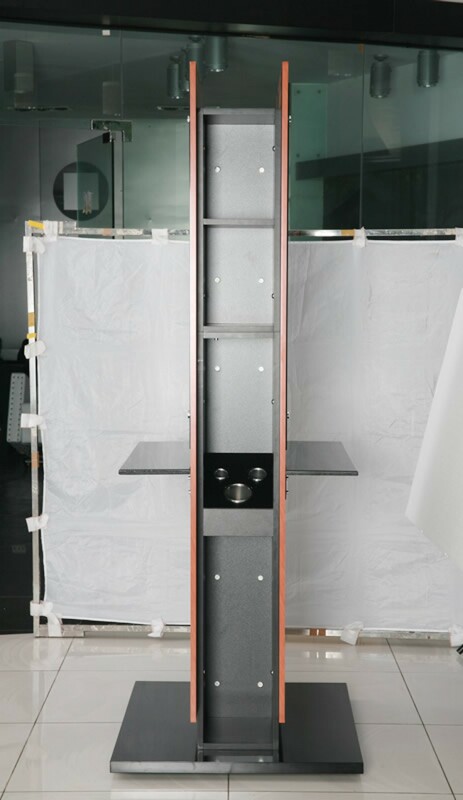 The "SAYA" styling station offers an elegant look to your salon. 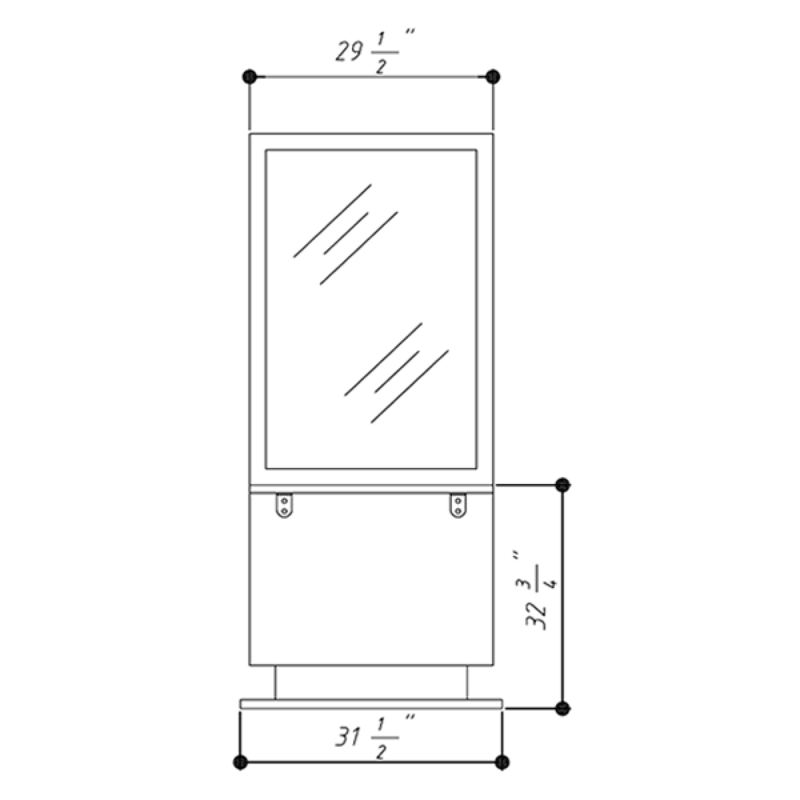 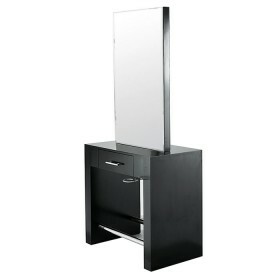 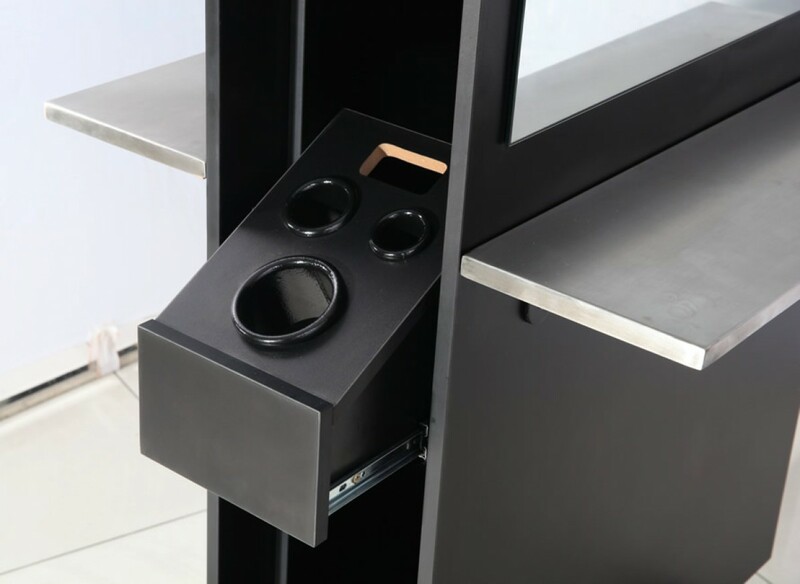 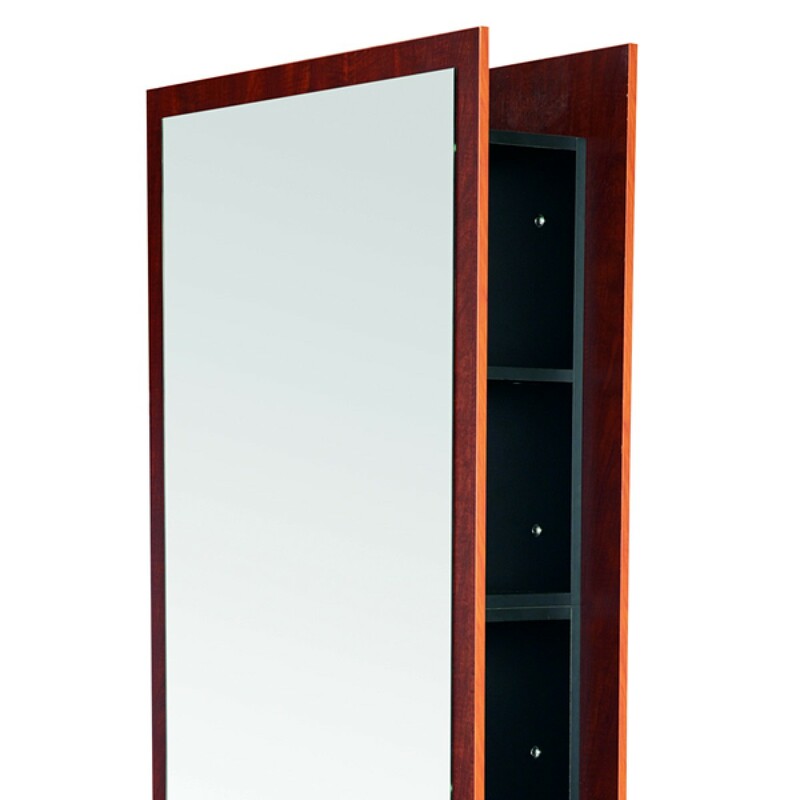 It is double sided with storage on either side including with shelf with appliance holders. 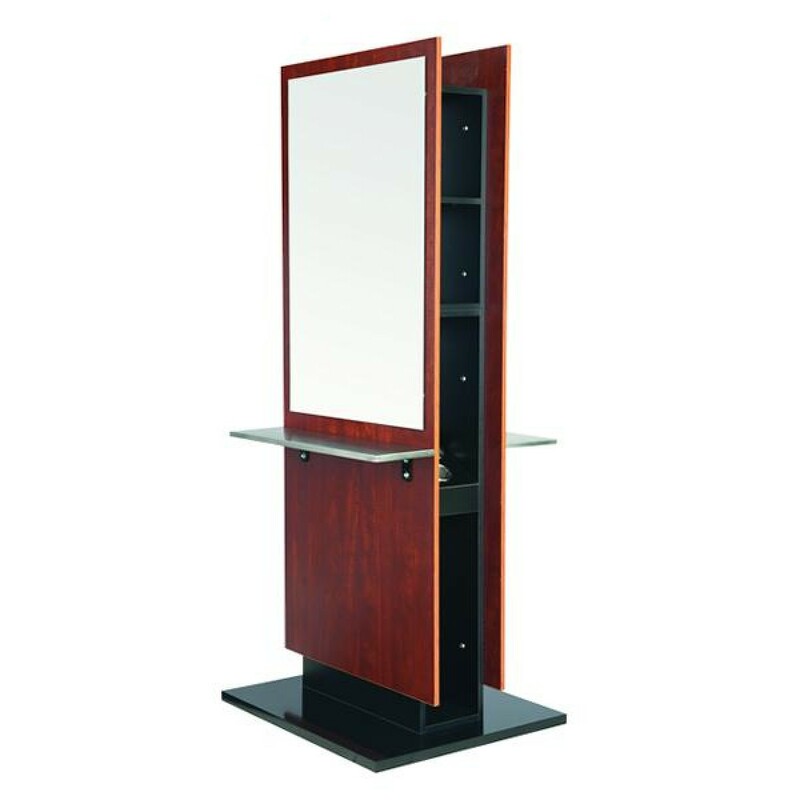 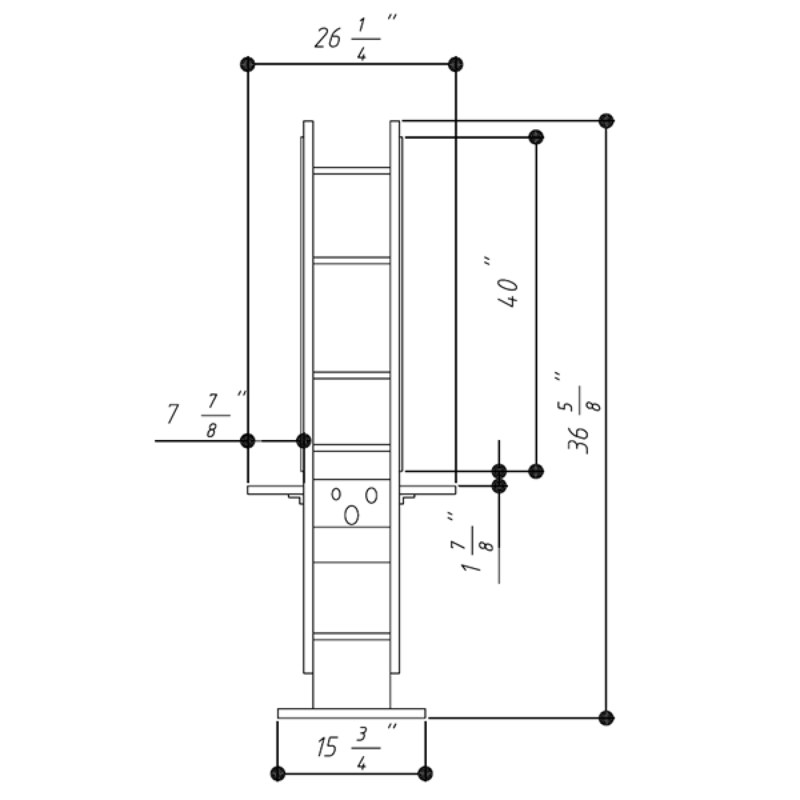 - Four shelves on either side offer ample room for tools, hair dryers, etc.